Oh, the weather outside is frightful, but oh my, so are the people you need to buy for this holiday season! 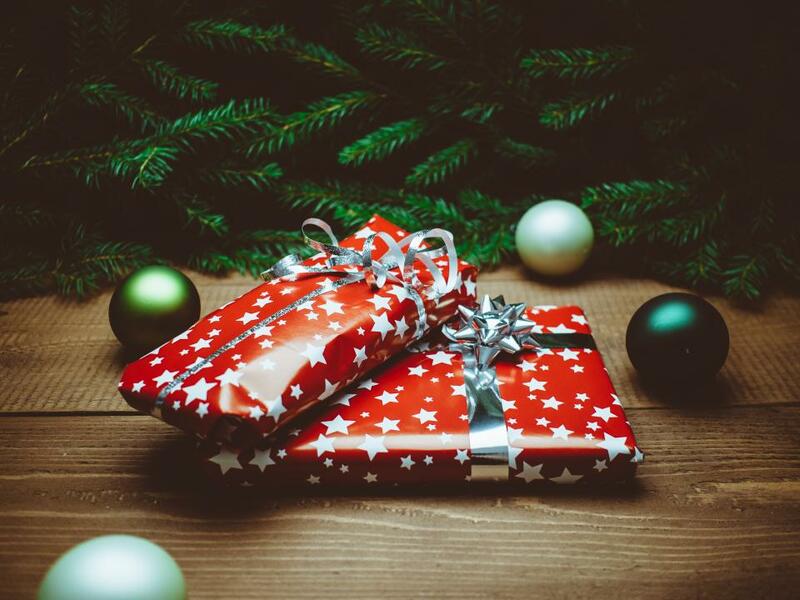 Who says buying the perfect gift isn’t achievable, well obviously you didn’t have this trusty little gift guide up your sleeve. Whether it be the secret Santa gift for your weird co-worker or your best gal pal, ladies and gents’, we have your back! The only thing we can’t do for you is actually go out and buy the gifts for you, but if you really need someone, our publishing editor, Kari might be available with enough bribes. You can’t please every girl, but you can come pretty close! 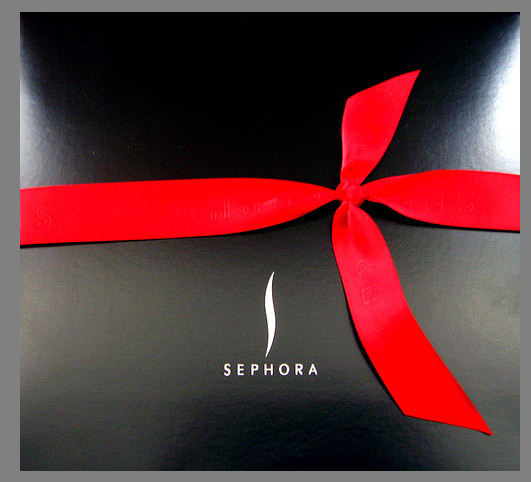 If your lady love, or gal pal is a makeup censurer, go with the Sephora Favorites Superstars ($248.00 value), $90.00 box set from Sephora. It will have all her favourite things in one box so you don’t have to worry about picking something out that she might not like. Another great idea is a perfume box set. Most come with two to three smaller bottles, so she can try them all out! Pick up the Marc Jacobs Daisy rollerball trio ($105.00 value), $55.00, or the NEST Eau de Parfum rollerball trio ($73.00 value), $13.00 — what a deal! We all have that one person who likes to sweat it out, whether male or female, we have a couple ideas for you! For your Zen friend, why not give her a custom monogramed yoga mat to fit her unique personality. Choose your mat color, and thread color for $50.00 (mycustomyogamat.com). A good pair of yoga pants or hoodie is always an awesome gift, check out Lululemon for the latest and greatest in athletic wear. Pants starting at $92.00 and hoodies starting at $128.00. If you’re not into buying clothes, why not give your fitness loving buddy a cook book. Check out Hungry Girl to the Max! The Ultimate Guilt-Free Cookbook for $15.00 (amazon.com). Men are hard enough to buy for, but even harder when they have everything and “don’t want anything”. For the beer drinker in your life, set them up with a DIY beer making kit. Available at Nordstrom for $55.00, but can also be found on other websites. 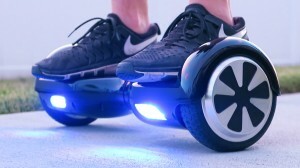 If you really want to please him this holiday season, no one will turn down a Smart Self Balancing Scooter with LED lights. You can find them on amazon.com for $320.00 plus free shipping. And if you want a gift that keeps giving, take a look at the Trunk Club gift card. Every member has a personal stylist who hand picks a selection of premium men’s clothing based on their personal preferences. Includes free shipping both ways and a ten day refund policy, this is a gift that keeps him looking good all year long! Memberships start at $100 at TrunkClub.com. If the foodie in your life hasn’t hopped on the box subscription train yet, it’s time you buy them an express ticket! For the aspiring chef in your life, turn them from zero to kitchen hero with the Chef’s Plate weekly subscription box. Each week they will receive a box of fresh, seasonal pre-portioned ingredients with recipe cards to make a gourmet meal in 30 minutes or less. For $49.80 a week, check out www.chefsplate.com. Gift cards available. For the male cooks in your life, why not get them the manliest of manly box subscriptions, the Mantry subscription box that includes six full sized food products from the top artisan food makers. Leave the guess work out of it and leave it to the experts. Each month is themed with past boxes being “the tailgate party”, “pizza party” and “bourbon BBQ”. Plans start at $75.00 plus shipping (mantry.com). And for the sweet tooth lovers in your life, send them a unique candy box subscription exclusive to Canadians only from project candy box. Founder, Aaron Kerr came up with the idea when he was doing research on subscription boxes and found that nothing dealt with candy or chocolate. Kerr says that every box contains 10-15 full size products all differing in where the products come from. “One of our key things is to provide a few items that are international,” says Kerr. Subscription boxes can be given as a one-time gift or in increments of one month, three month, six month and 12 month. In almost one year the company has sent out over 1500 amazing fun filled candy boxes. But what’s even better, is they donate to the Calgary Make A Wish Foundation and plan to continue the tradition for years to come. Kerr says they are growing and they want to give back. Check them out at www.projectcandybox.com, prices starting at $24.50 plus shipping. Hopefully this gift guide helps you out for all those people you’re not too sure about. If you have a Grinch in your life, better to just say Bahumbug and get on with it, they might just be a lost cause!